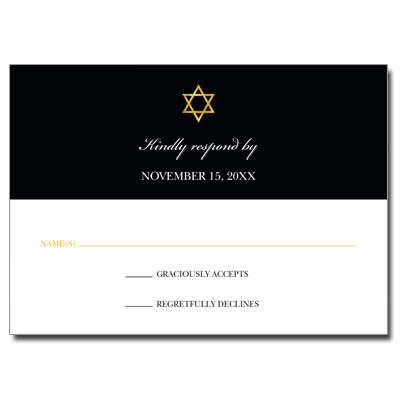 A black and white Bat Mitzvah response card featuring a gold Star of David. Guests can write in their names as well on whether they will attend the event or regretfully decline. Card measures 3.5x5 inches and comes with matching envelopes.